Catalogna Chicory is a subtle tasting leaf and stem that can be eaten fresh and raw or blanched and/or added to cooked dishes. If you have it raw you can simply search out the smallest newest leaves and fresh sprouts and dress them with Olive oil, lemon juice and other similar salad type items. Generally however they are best quickly blanched and dressed the same way. 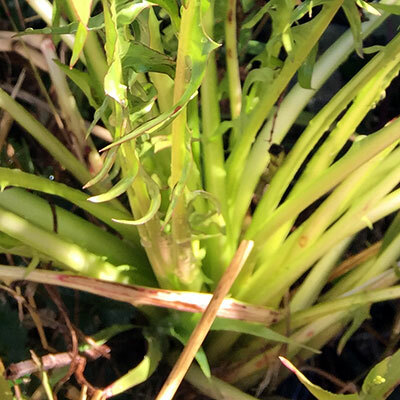 You are usually looking for the fresh stems as they have a kind of asparagus flavour – rather than the larger green leaves – but the leaves are nice too. If you blanch them you can drop them into ice water to get them ready for a salad. I like them still warm having been blanched and then mixed in with other types of greens and served with a gravy style sauce with garlic, soy etc. or just with lots of butter and lemon juice and a bit of nice salt. The roots can be slow roasted like other chicories for another interesting type of dish along with things like dandelion, carrots and salsify etc. 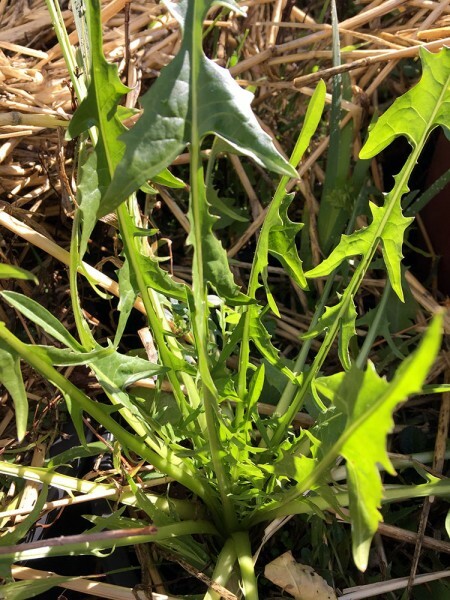 They are fairly easy to grow and the best new growth and stems appear in mid winter. Keep them moist with a heavy mulch for best results. When they get bigger and more ferocious the base swells up with many new clustered sprouts and the whole base can look a bit like a small translucent bulb of new curled growths. This is the ideal end harvest product if you can get them to that stage.